The New York Times article, In Job Hunt, College Degree Can’t Close Racial Gap, explores how race greatly impacts one's ability to get a job. Many people try to "hide" their ethnicity or race in the hope of getting their foot in the door for an interview. 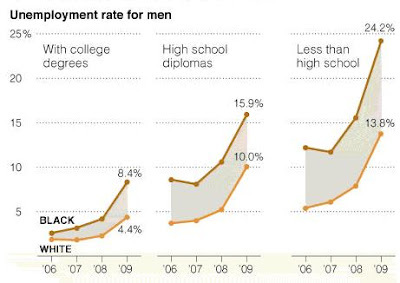 The U.S. Bureau of Labor Statistics shows that the unemployment rate for black male college graduates (over the age of 25) is 8.4 percent or twice what it is for white male college graduates, which is 4.4 percent. Profiled in the article is Barry Jabbar Sykes (pictured) who has a degree in mathematics from Morehouse College. 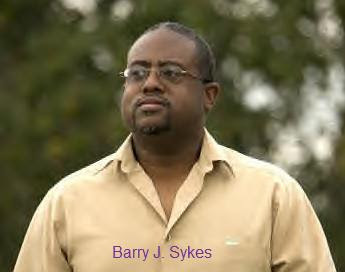 Sykes had always used Jabbar in his name, but now uses Barry J. Sykes. “Barry sounds like I could be from Ireland,” he said. Have you ever (or anyone you know) hid your ethnicity or race when job hunting?